How Far is Pricol Silver Springs II? 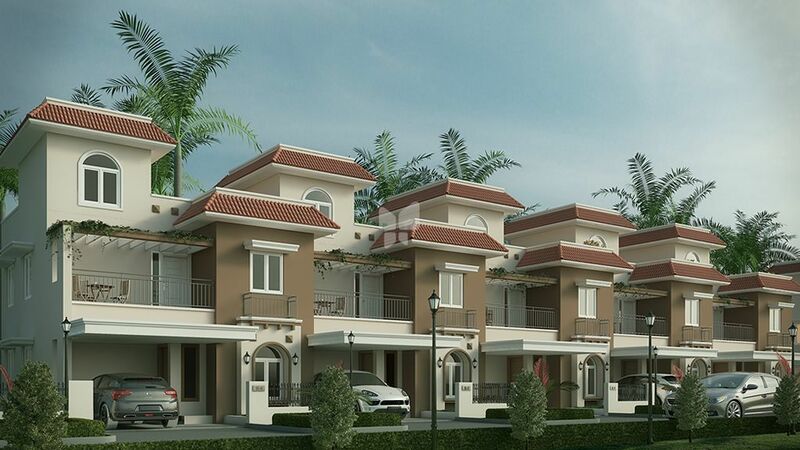 Silver Springs 2 is a residential project developed by Pricol properties. 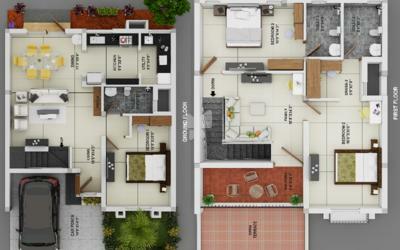 The project offers very well designed 3 BHK residential row houses. The project is well connected by various modes of transportation. The site is in close proximity to various civic utilities. Walls will be constructed using fly ash bricks/ clay bricks set in cement mortar. Anti&termite treatment will be provided as per BIS for the complete building. Internal Walls will be finished with cement plaster and two coats of emulsion paint over wall putty and primer. The toilet walls will be finished up to ceiling with ceramic tiles of colours and size as recommended by the Architect. Utility will be finished with ceramic tiles for 4’6” from FFL. Wall above kitchen platform will be finished for 2’0” height with ceramic tiles of suitable size as specified by the architect. Exterior face of the building including the balconies will be finished with cement plaster and emulsion paint. Grills and handrails will be finished with enamel paint over zinc chromate primer. Ceiling areas including living, dining, bedrooms, kitchen etc. will be finished in cement plaster & wall putty and painted with two coats of emulsion paint. Living, Family, Dining, Bedroom and Foyer will be finished with vitrified tiles of size and shade as prescribed by the Architect. 3” high granite / Tiles skirting will be provided in all the areas. Entrance doors Teak wood door frame with Teak wood shutters and polish finish. Bedroom door Hard wood door frame with skin molded shutters and paint finish. Toilet doors Hard wood door frame with water proof skin doors and paint finish. Windows UPVC windows will be provided in all rooms with safety grills. Concrete platform will be finished with granite slab 2’ wide and provided with Nirali or equivalent single bowl SS sink and provision for fixing washing machine. All sanitary wares will be of Parryware / Hindware or Equivalent make. All toilets will have Parryware / Hindware make wall mounted wash basin and wall mounted EWC with open cistern as decided by the Architect. Car parks will be finished with concrete paver blocks.